Live-online training is a great option for individuals, small groups, or distributed teams. It allows for live interaction with the instructor without the cost of travel or dedicated training facilities. 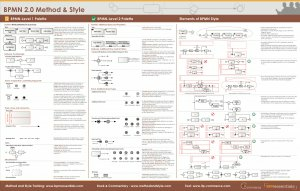 BPMessentials BPMN Method and Style live-online training is delivered by Bruce Silver, developer of the course material and author of the book, BPMN Method and Style 2nd Edition. Students in live-online classes have a choice between Vizi Modeler from itp commerce or a cloud/browser-based BPMN tool, either Trisotech or Signavio. Public live-online classes are conducted approximately bimonthly. Classes run for 3 consecutive days, typically from 11am-4pm US Eastern Time, or 5pm-10pm CET. Click here for more information on public live-online classes, including current schedule and pricing. For groups of 10 or more, private live-online classes may be arranged at dates/times convenient for your team. Click here to request price and availability of private live-online training.